The Grey Fergie Tractor Muster is held every three years, and was last held in Bendemeer NSW on 17-18 March 2018. For the first time in 2015, we incorporated the Muster with a Land Rover Gathering. Following the success of the Gathering, the Muster and Gathering will continue to run together. 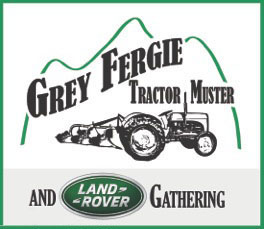 The last Grey Fergie Tractor Muster & Land Rover Gathering was 17-18 March 2018, and the next event will be held 19-21 March 2021. ﻿﻿Entry forms for 2021 will be available online closer to the event.